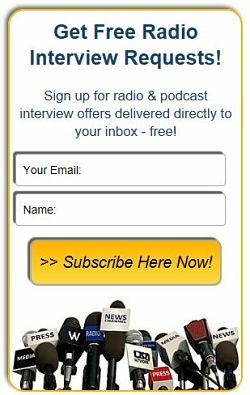 Show Hosts & Producers Email List Signup - Radio Guest List.com - How to Get Radio Interviews and Find Podcast Guests! If you're looking for guests, authors, and experts to interview on your show, use the easy form below to join this email list! We'll email you qualified interview guests to help make your booking easier and your show better. [This list is for show hosts, producers, and interview bookers only.